In the intervening 136 years, the network of university presses has become a vibrant part of the publishing ecosystem. It encompasses giants such as Oxford University Press, which has fifty-two offices around the world, as well as Duquesne University Press, which specializes in medieval and Renaissance studies. University presses publish a vast range of scholarship, but they also publish a dizzying array of books that are unlikely to find a home at Manhattan’s large commercial publishers. Consider some recent offerings: Jean Drèze and Amartya Sen’s An Uncertain Glory: India and Its Contradictions (Princeton); Rebecca Solnit and Rebecca Snedeker’s Unfathomable City: A New Orleans Atlas (California); Two Prospectors: The Letters of Sam Shepard and Johnny Dark (Texas), edited by Chad Hammett; and Warren Hoffman’s The Great White Way: Race and the Broadway Musical (Rutgers). University presses don’t just publish books: they keep books in print and rescue out-of-print books from obscurity. Thanks to the University of Minnesota Press, there is an attractive new edition of Gary Giddins’s Celebrating Bird: The Triumph of Charlie Parker (1986). “People sometimes dismiss university press publications as low-selling, but that underestimates their cultural importance and influence,” says Doug Armato, director of the University of Minnesota Press. “When you look at the endnotes of bestselling serious books—Robert Caro’s biographies of Lyndon Johnson are a good example—you see how much they are built on work published by university presses.” And occasionally there is a runaway success: Thomas Piketty’s Capital in the Twenty-First Century is published by Harvard University Press. The postwar era, after Sputnik in particular, was the golden age for university presses. President Eisenhower’s National Defense Education Act directed a massive influx of money into universities, and much of it flowed into the budgets of university libraries, which purchased sizable numbers of university press books and journals. The good times didn’t last long. In 1970, university libraries began to purchase fewer monographs, a trend that has accelerated through the years. The directors and editors with whom I spoke say that, ten to fifteen years ago, they could sell 1,000 copies of a monograph to academic libraries. These days, they can count on monograph sales of only 300 to 400 copies. Every university press has felt this loss, and some have never recovered. The presses tried to combat the fall in monograph sales; some of them moved aggressively into regional publishing, producing books about local history and culture. Thompson notes that the University of North Carolina Press pioneered this approach, with one of its standouts being a cookbook called Mama Dip’s Kitchen, which has sold 233,000 copies. But for reasons of scale, university presses can’t easily compete with commercial publishers. Their disadvantage has been exacerbated by the digital revolution, which brought in Amazon and the decline of bookstores; the advent of e-books; and the changing reading habits of scholars, many of whom want access to a wide range of digital tools as well as the old-fashioned print monograph. All of this has put enormous strain on university presses. A further source of anxiety has been the steady decline in sales of new course books, as college students increasingly buy used books on the web. Underneath it all, the erosion of the humanities and the social sciences—the focus of most university presses—has contributed to a feeling of uncertainty among press directors. Most university presses are dependent on subsidies from their home institutions. But the AAUP’s Peter Berkery notes that the corporatization of the academy has led to “increased scrutiny of university press subventions” from universities. Most presses receive annual subsidies that tend to range from $150,000 to $500,000, while a handful of presses, such as Yale, Princeton and Harvard, enjoy the feathery cushion of an endowment. The debates and discussions unfolding today in the world of university press publishing are complex and wide-ranging. The establishment position is represented by the AAUP, and it amounts to this: a digital transition is necessary and inevitable; the university press sector is doing it as fast and efficiently as it can; but the presses lack the economic resources to innovate and shouldn’t risk smashing the fine china by pushing ahead recklessly. That incrementalist view is reflected in a 2011 AAUP report, “Sustaining Scholarly Publishing,” written by the directors of the following university presses: California, Duke, MIT, Chicago, Kent State and Massachusetts. The report notes that the old model of books on paper is certainly under strain, but it’s a model that is still responsible for most of the revenue for university presses. Today, books on paper constitute 85 to 97 percent of their total revenue, compared with 3 to 15 percent from e-books. Alison Mudditt, director of the University of California Press, is another critic of the incrementalist approach. In 2012, Mudditt delivered some blunt remarks to her AAUP colleagues at a meeting in Charleston, South Carolina: “We are often ignorant of the world of commercial scholarly publishing,” she said, “and at our worst we are dismissive of it, whether through fear or a misplaced sense of superiority.” A few weeks ago, Mudditt described the challenges of trying to sustain an old business—in her case, one based on a vibrant list of print books—while trying to build a brand-new digital business at her press. “We’ve set up a separate business development unit that is deliberately running in parallel to the rest of the organization, but is free from the structures and the meetings,” she says. “It’s really set up to help us figure out this digital business.” Mudditt notes that she is fortunate enough to lead a large press that has significant resources for digital experimentation. Watkinson has his own critique of what went awry in his profession. He contends that, in recent years, certain presses have allowed their ties to their own universities to fray, and are now paying a high price for that neglect. “Many university presses, especially smaller ones, did not do themselves a service by attempting to fly beneath the radar at their institutions,” Watkinson says. “Focusing just on academic disciplines and not serving their university community was not a good strategy. If a university press is subsidized by its parent institution, it should expect to give something tangible back. That can range from explicitly aligning the publishing list with the institution’s disciplinary strengths to providing additional publishing services outside the press’s imprint.” Purdue University Press, for instance, now manages a technical report series for the university’s School of Civil Engineering. No wonder some university press directors are concerned about the rising clout of campus librarians, many of whom are far more enthusiastic about Open Access publishing than press directors tend to be. Says Peter Dougherty of Princeton University Press, “I know what an art it is to publish scholarly books: to attract them, to build a list, to get them edited, to present them to an editorial board, to design them, to get them reviewed—to do all the things you need to do to offer them to the world so they can do what they are supposed to do, which is to help inform a discussion and a conversation.” Indeed, it’s too vital a task to be entrusted solely to university librarians. 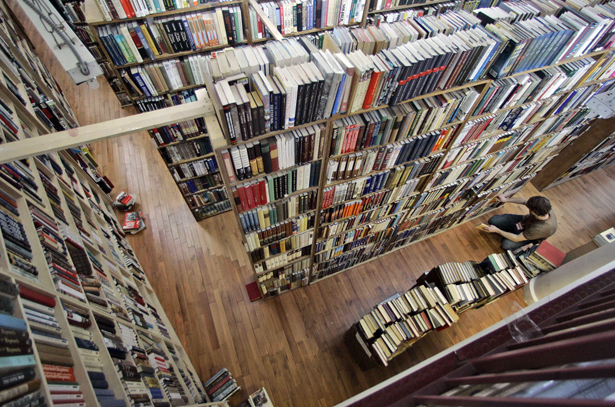 University press watchers are concerned about the fate of two presses in the Midwest. In 2012, Indiana University Press was merged into an Office of Scholarly Publishing, where librarians have considerable influence, while the University of Michigan Press is fully under control of that university’s library. Both presses currently lack a director as the search process continues. Some directors would like to see the universities do much more to assist the presses. Says Doug Armato of Minnesota: “The responsibility lies with the universities themselves to recognize that presses play a critical role not just within academia, but the culture as a whole. They also need to recognize that books and knowledge have as dedicated a constituency as do the college sports teams in which they invest significant resources and pride. It costs approximately $100,000 a year to support a college athlete; dissemination of a faculty member’s research could be effectively sponsored at a tenth of that cost or less.” Other university press editors simply want university libraries to do what they did in the golden age: buy more university press books alongside the costly science journals. Who might spearhead such a task? The Mellon Foundation has devoted significant energy and resources to the support of university press publishing; it funded Project Muse, an initiative that manages and sells peer-reviewed digital content worldwide from a consortium of 200 not-for-profit publishers. But the foundations won’t save the presses. In the late nineteenth and early twentieth centuries, university leaders were enlightened enough to establish university presses. Perhaps now their duty is to sustain and protect them. The combined endowments of Harvard, Yale, Princeton, Stanford, MIT, Columbia and Michigan total more than $100 billion. The presses have been on a very tight leash for a long time; they need fresh air and money. The elite universities should provide it. They could assist the presses with the expensive transition to digital publishing; they could increase library budgets to enable university press books to flow more readily into the libraries; they could facilitate the hiring of top talent. They should be the catalytic force for the greater good of university presses and their readers.